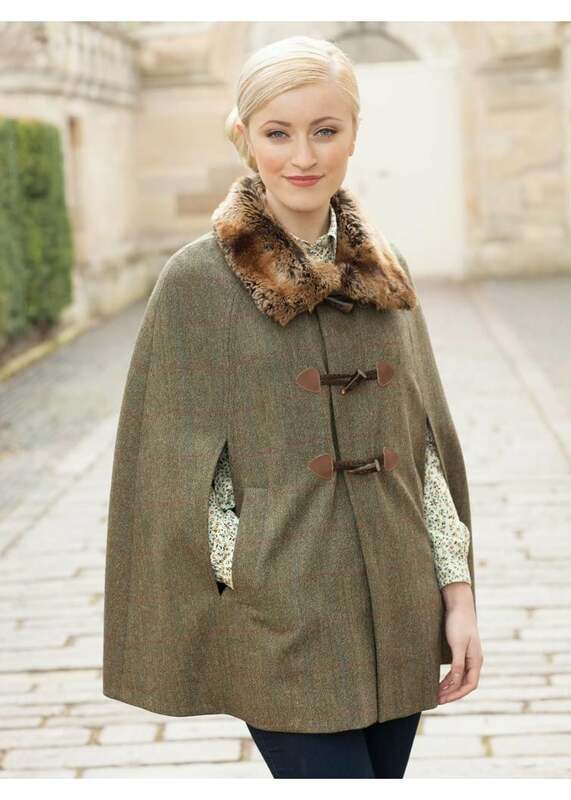 The Dubarry Samphire Cape is a beautifully designed tweed cape prefect for those transitional weather months. The Dubarry Samphire Cape is a beautifully designed tweed cape prefect for those transitional weather months. Wonderfully elegant in design with quality detailing, this country-inspired cape combines fashion and functionality in one piece.